A veil of silky moisturizing oils, with a luxurious rose bouquet, to pamper skin after bathing. Everything about the rose is harmonious, especially her balance between flourishing growth and delicate beauty, sensual summer fragrance and vibrant autumn fruit. That harmony of beauty and endurance is captured in this indulgent body oil. The precious floral oil of wild roses is carefully blended with hydrating sweet almond and jojoba oil. Your skin glows with silky radiance while the intoxicating scent of damask roses transform the moment. High in essential fatty acids, supports the natural functions of skin. Harmonizes the body and spirit for skin that feels luminous, soft and revitalized. Dermatologically tested. 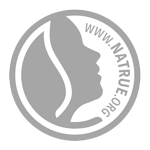 Certified natural by NATRUE. Free from synthetic preservative, fragrance, color or raw materials from mineral oils. Why give roses when this is even better? I recently indulged and purchased a bottle of Wild Rose Body Oil. I absolutely love the fragrance, and my dry skin was immediately soothed after application... The oil absorbed completely and my skin stayed hydrated and smooth all day! Why give roses, when this is even better, as it is a treat for both skin and smell! The smell alone is intoxicating if you love roses. I use this in places I don’t need birch oil, but especially on feet and hands, any rough areas after bath. In winter I use the oil in my heels followed by lotion then socks, heels crack badly before. It’s great stuff!. I love the smell and it absorbs quickly. It’s a clean smell that reminds me of spring in this really cold winter!